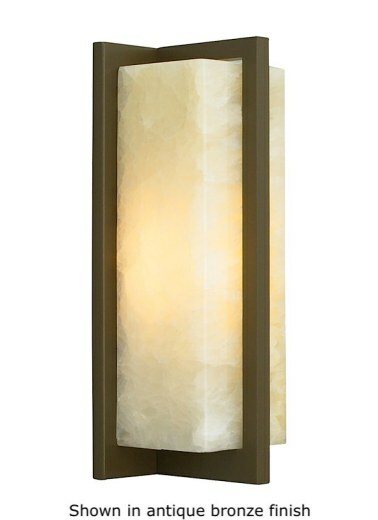 A unique wall sconce, the Coronado features a rectangular onyx shade with metal frame. This wall sconce gives off ambient, up- and down-light. 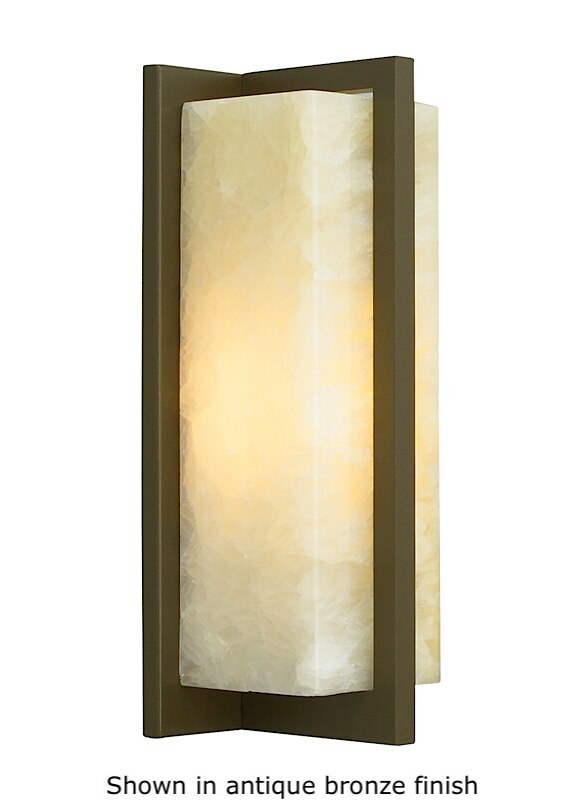 Let the Coronado wall sconce add a warm glow to your home. Select incandescent, fluorescent or LED lamping. Incandescent includes 100W double ended halogen lamp; fluorescent includes 18W CFL; LED includes 10W 600 lumen 2700K LED module. Incandescent version dimmable with standard incandescent dimmer (not included). LED version dimmable with a low voltage electronic dimmer (not included). ADA compliant. For full infomation please see the specification sheet.